And how long did WiP training programme last for? I would have thought it was the late ’90s. It got to the point when they couldn’t get enough people. Some of the things we did courses on Publishers Training Centre started doing far more courses. So for example a course like Finance in Publishing, there was a good one at Book House. 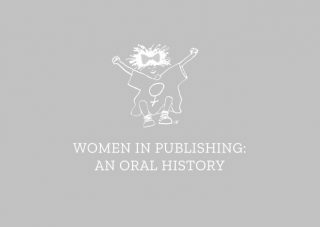 And once you got to the point where women didn’t feel they had to do it surreptitiously, and go off and do it in their own time, I think it probably meant that women were just able to get the training they needed through the Publishers Training Centre. And they even started doing things like the sort of Confidence Building courses and things, which we’d sort of pioneered really. I actually wrote a piece in The Bookseller about it, saying what a shame it was that women-only training was dropping off the agenda, and perhaps it was a sign of the times it wasn’t needed any more, you didn’t need that women-only environment any longer, but, you know, it had been a great important thing at the time. Hmm, I don’t know. I do think we still lack some good women-only spaces, for professional development or training, or whatever you call it. But why do I think that? I miss it. Whether I think it’s needed or not, I don’t know. I miss the atmosphere of it, and the supportiveness of it.